Last month we published a blog post about BBC’s Your Money programme, which covered the topic of “shoulder surfers”. 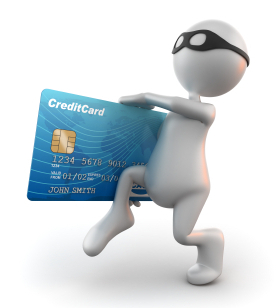 The key call to action that came out of that segment of the show, was to be vigilant when taking money out at a cash point – that is; do your best to make sure no one is trying to catch your pin number from behind your shoulder. Whilst on the topic of cash machine fraud and card safety, you might also want to make an effort to learn your pin number off by heart, so you don’t have to carry a reminder. This might sound rather obvious, but new research by discount website www.myvouchercodes.co.uk, has revealed that as many of 34% of Britons carry a pin reminder on them at all times! What’s more, 36% of those who play it unsafe by carrying their pin around, keep it in their wallet or purse…presumably right next to their bank or credit card. Alarmingly, over two thirds of the above 34% had not even considered that writing their pin down, and using their reminder at cash points, might put them at significantly increased risk of card fraud. This entry was posted in Banking, Cash cards, Credit cards, Fraud, Personal finance and tagged BBC, Britons, Business, cash machine, cash points, Credit card fraud, Fraud, Personal identification number, Technology by Invocas. Bookmark the permalink.